Freemasonry is a fraternity, not a religion. Freemasons are united in their desire to be of service to mankind. While Freemasonry supports homes for members and their spouses, most Masonic services, including Shrine medical and burn centers, are available to all citizens. In 1990, American Masonic philanthropy totaled more than $525 million, of which 58% went to the general public. Freemasonry is an open, not secretive, society. Masonic meetings are announced publicly, Masonic buildings are marked clearly and are listed in phone directories, and Masons proudly wear jewelry identifying their membership. Freemasons inherited a tradition of trade secrets from the cathedral building guilds of medieval Europe. The only "secrets" still belonging to modem Masonry are traditional passwords, signs of recognition, and dramatic presentation of moral lesson. Freemasonry is open to all men of good character who believe in God. Freemasonry does not discriminate on the basis of race, religion, or social class. The Masonic family of organizations is open to all. Freemasonry admits only men, but many Masonic related organizations, such as the Eastern Star, Amaranth, Job's Daughters, Rainbow for Girls and DeMolay for Boys, offer ample opportunities for women and youth. Freemasonry does not require improper oaths. The solemn promises taken in Freemasonry are no different than the oaths taken in court or on entering the armed services. The much discussed "penalties," judicial remnants from an earlier age, are symbolic, not literal. They refer only to the pain any honest man should feel at the thought of violating his word. Freemasonry teaches individual improvement through study. Freemasonry encourages study, including literature by the great writers of ancient times. Freemasonry does not sanction the views of these authors but offers them for each individual's reflection and evaluation. Masons learn through a series of lessons. These "degrees" of insight move from basic to more complex concepts. This no more hides the nature of Freemasonry from novice members than does having student understand fractions before calculus. 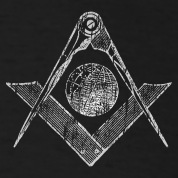 There are approximately 2.5 million Masons in the United States and nearly 6 million throughout the world. Freemasonry has no single spokesman. Freemasonry is made up of many individuals in numerous organizations, all subordinate to the Grand Lodge within their jurisdiction (i.e. state). None of these members organizations can speak for Freemasonry; that is the responsibility of each Grand Lodge within its jurisdiction. No Masonic body nor author, however respected, can usurp the authority of a Grand Lodge. Masonry has many groups, each with a special social, educational, or philanthropic focus. A man becomes a Mason in his local Lodge. Then he joins any of the following "Appendant Bodies": the Scottish Rite, York Rite (which includes the Royal Arch and Knights Templar), Shriners, Grottoes, Tall Cedars, etc. How a man chooses to practice his personal religious beliefs is left entirely up to him, but Freemasonry recognizes the strong bond which unites all people under One Creator. Our members include men from a wide range of religious backgrounds, but each of them shares a commitment to this important principle. Because of our strong bond of Brotherly Love, Masons provide Relief to help those who are in need. This includes the notion of charity, and Masons provide much assistance to worthy charities, but it also means offering a helping hand, in other ways, to people that need assistance. As Masons, we are committed to being honest and truthful with other people. The Masonic Fraternity teaches a man to be faithful to his responsibilities to God, his Country, his fellow man, his family and himself. The Masonic principle of Truth also teaches a man to search for wisdom and understanding. For only in this way can he grow and become a better person. The pursuit of knowledge is at the very heart of our purpose.